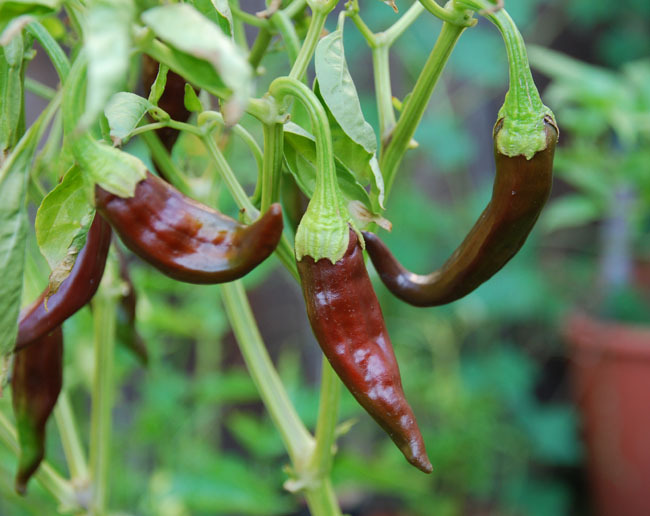 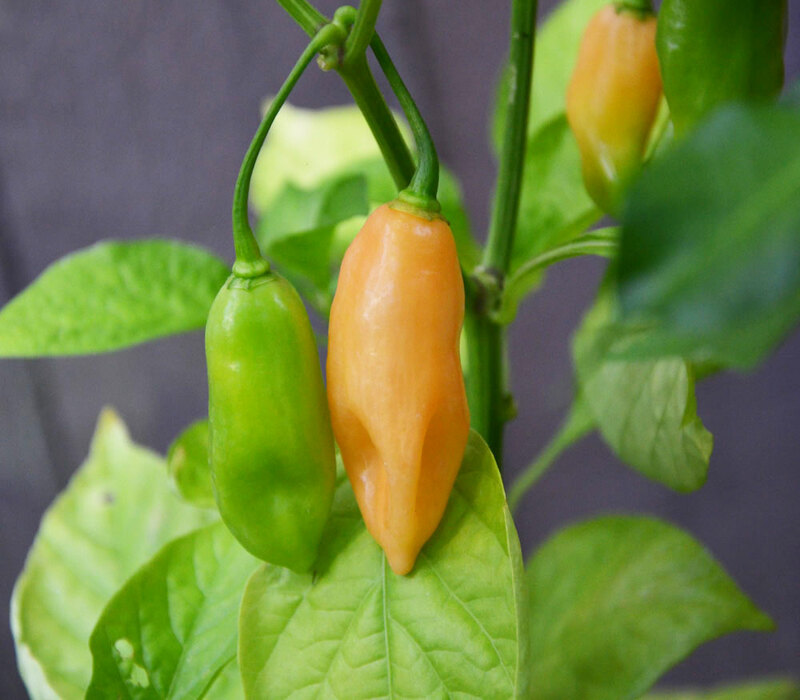 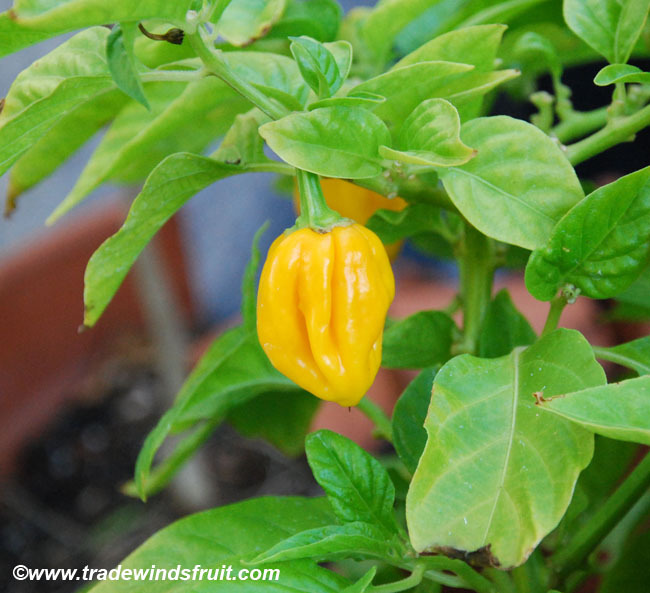 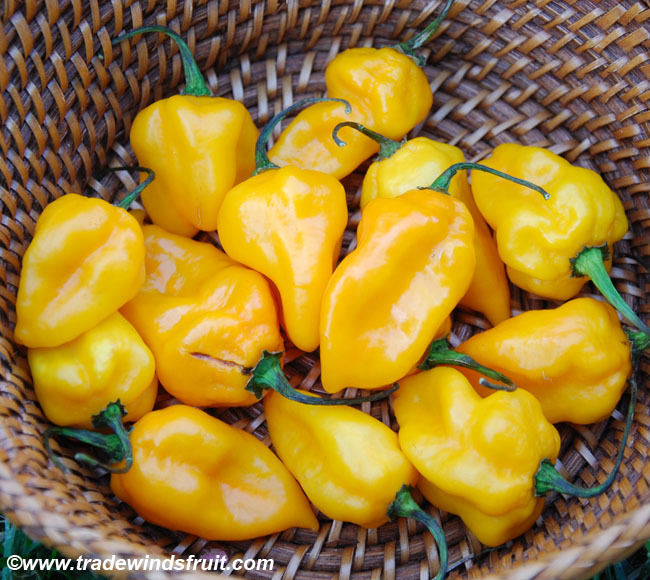 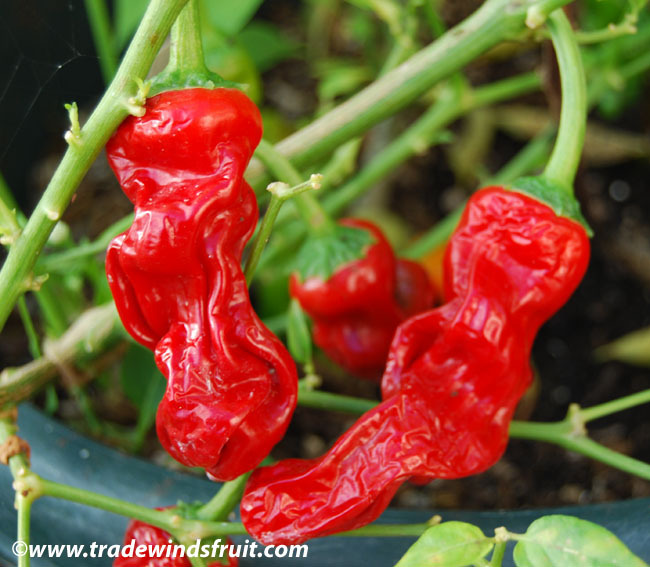 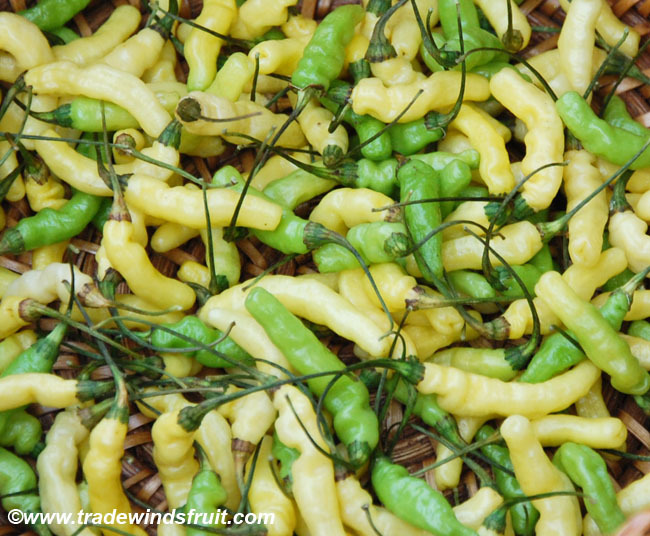 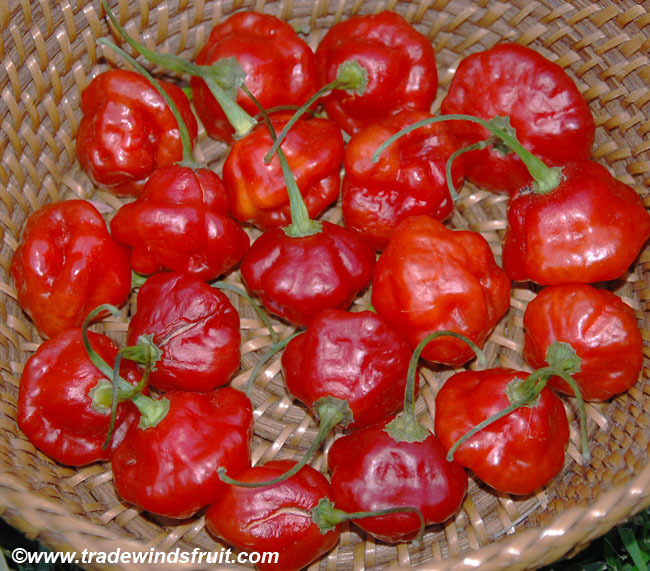 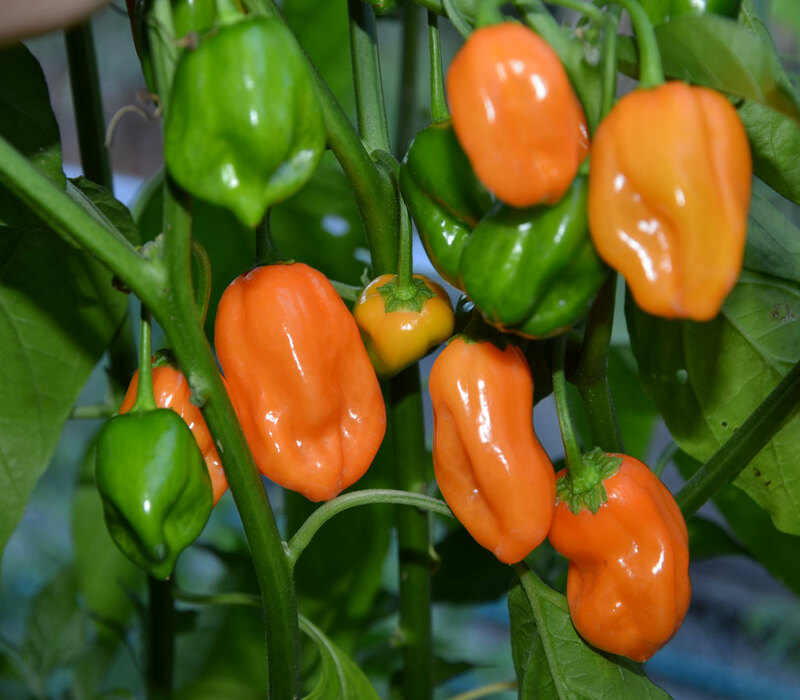 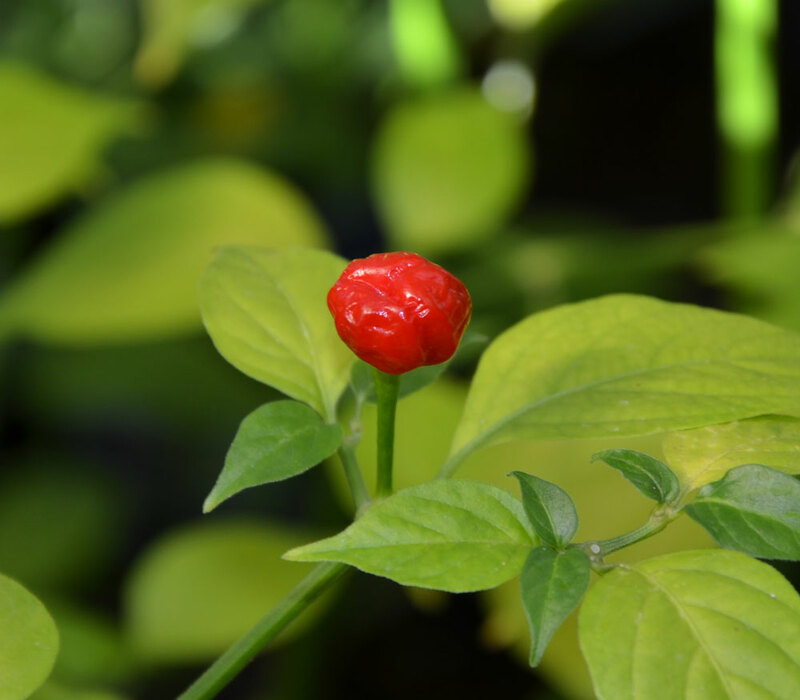 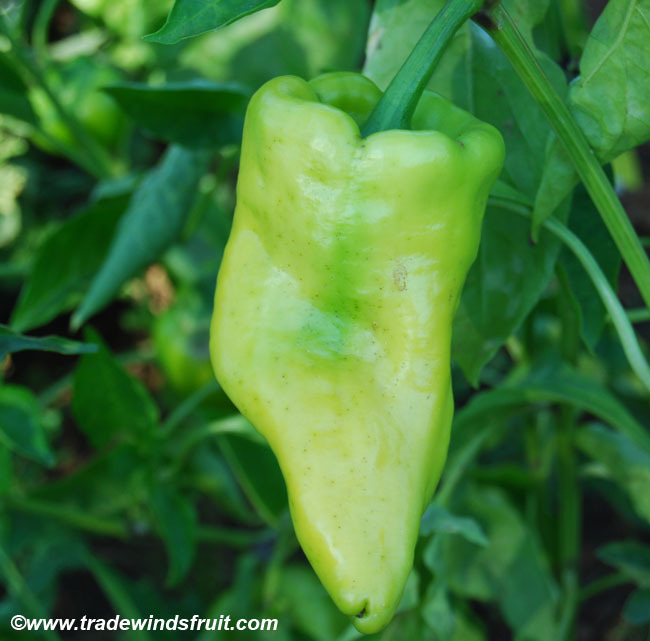 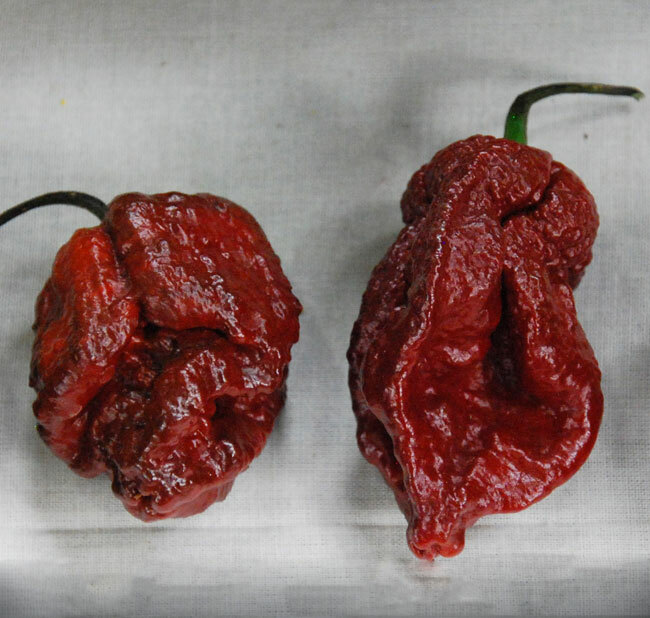 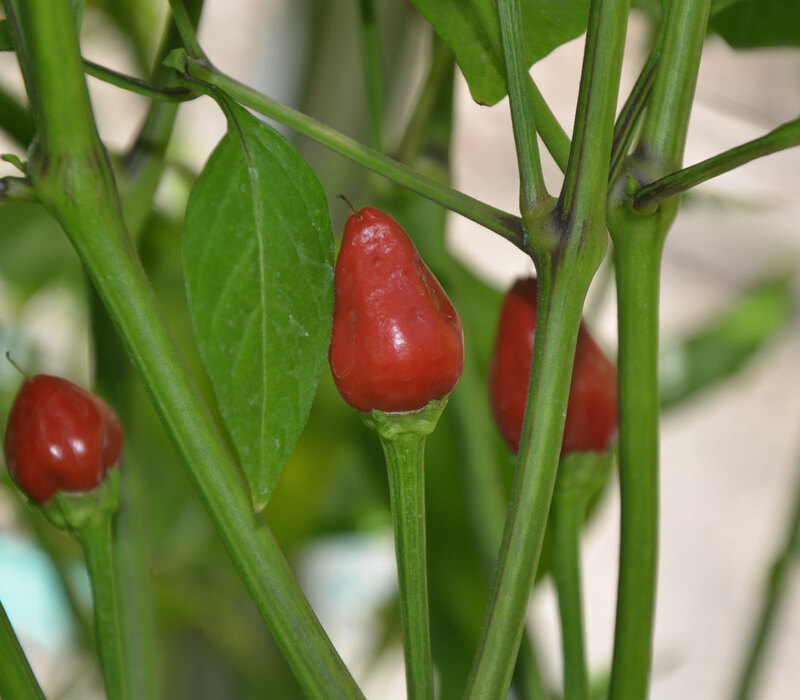 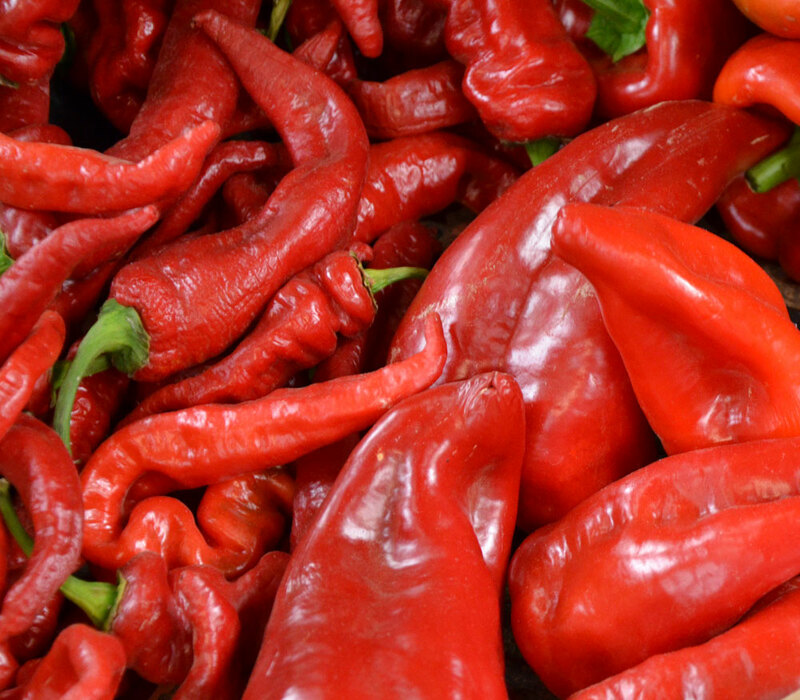 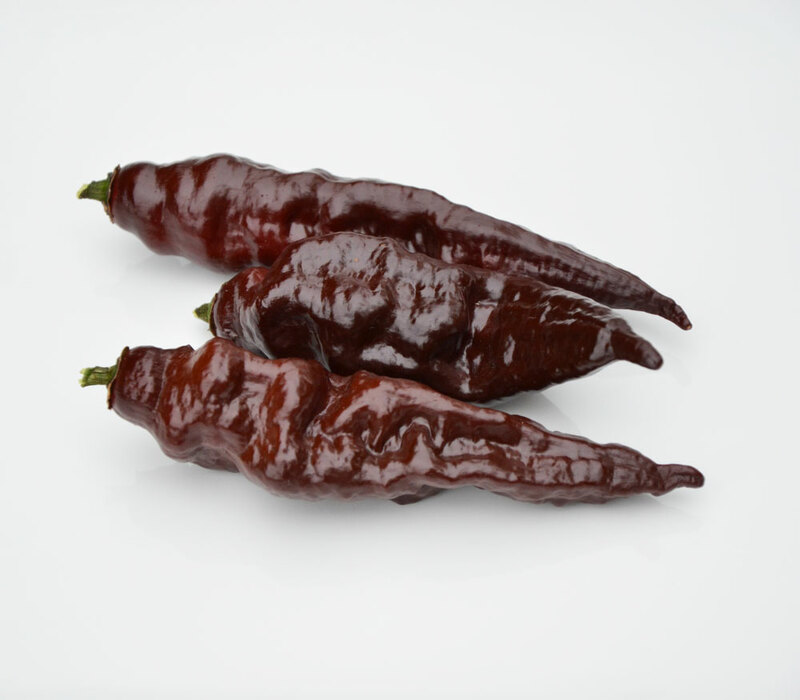 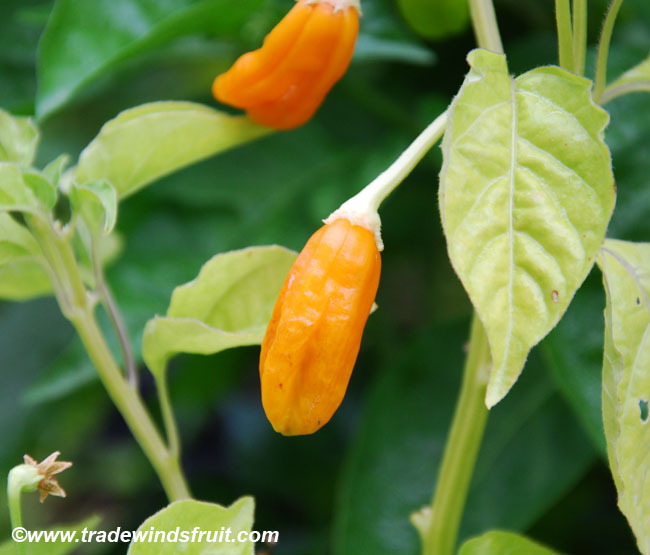 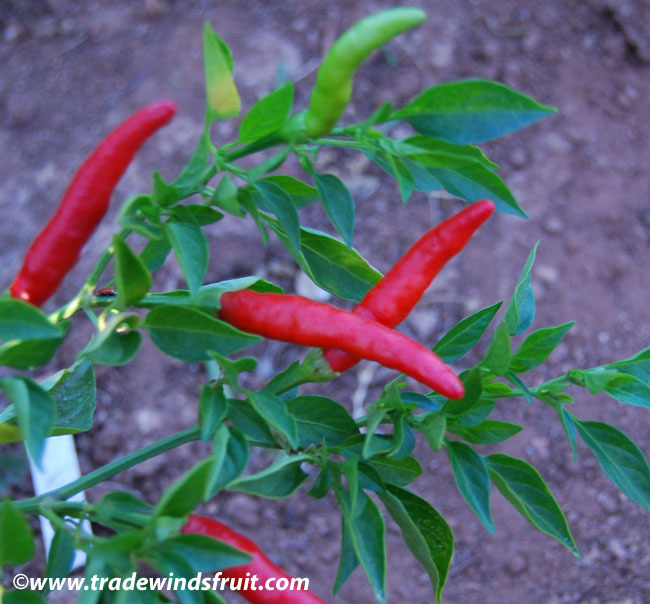 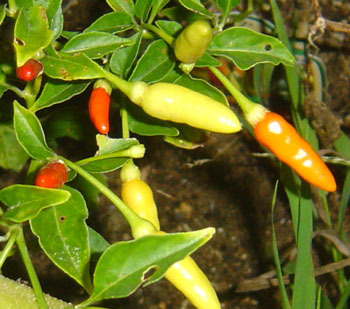 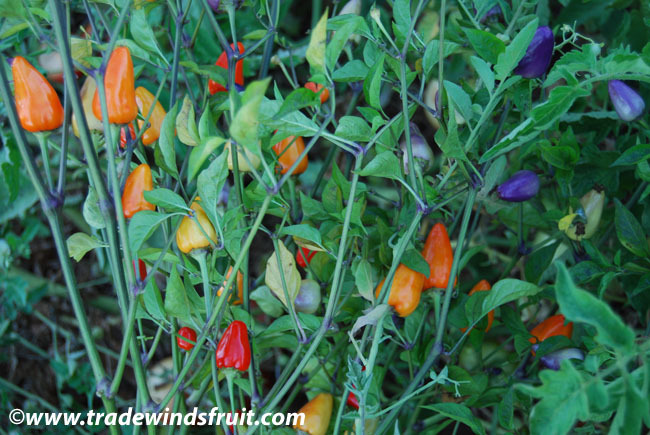 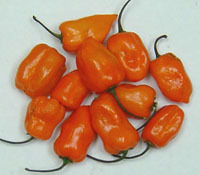 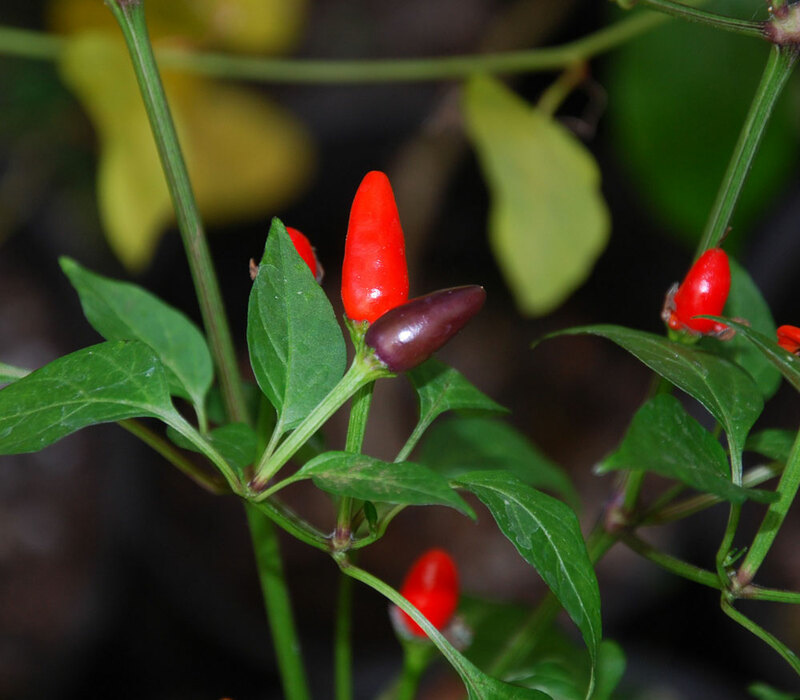 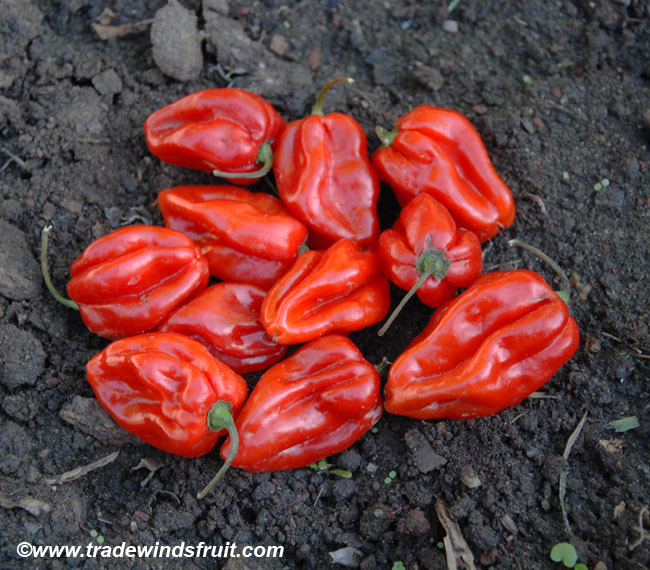 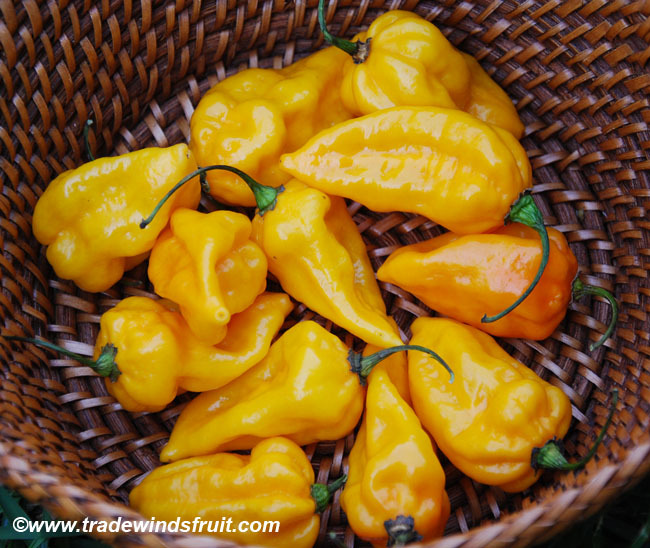 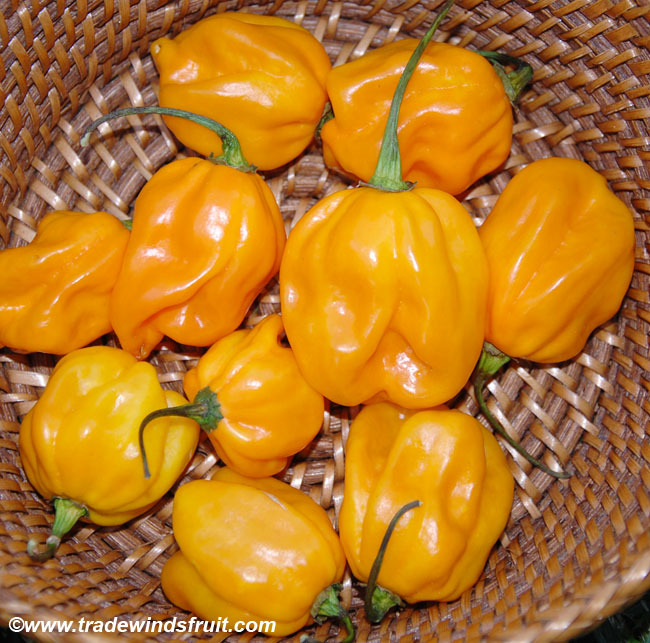 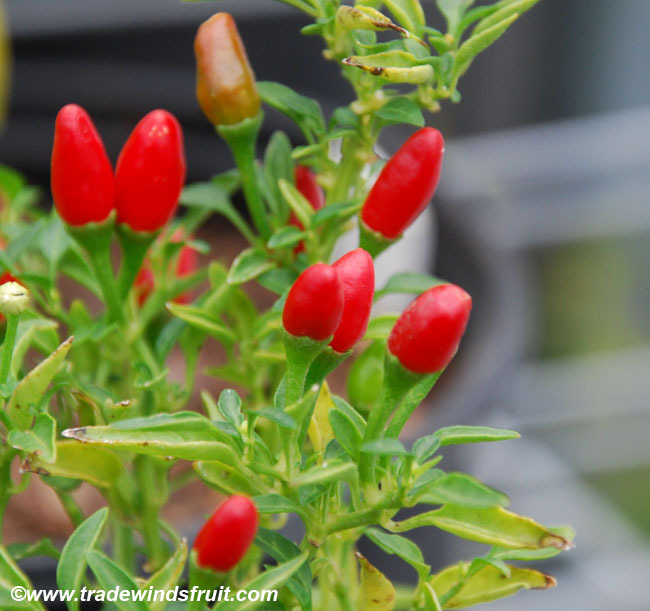 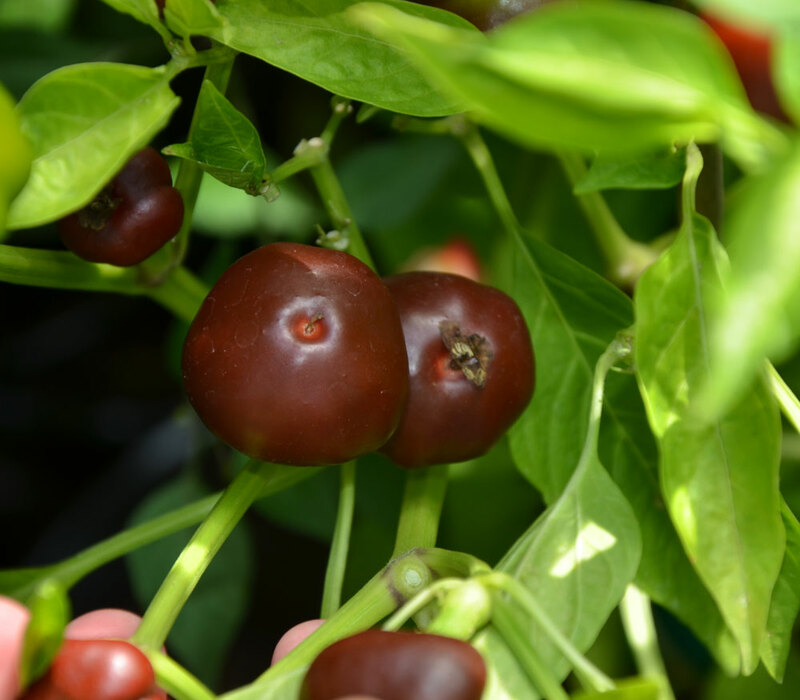 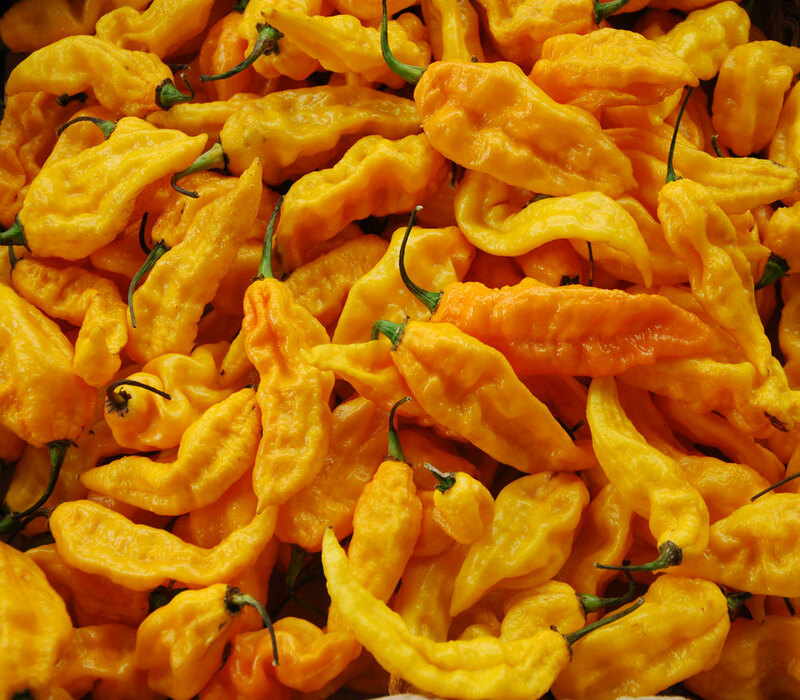 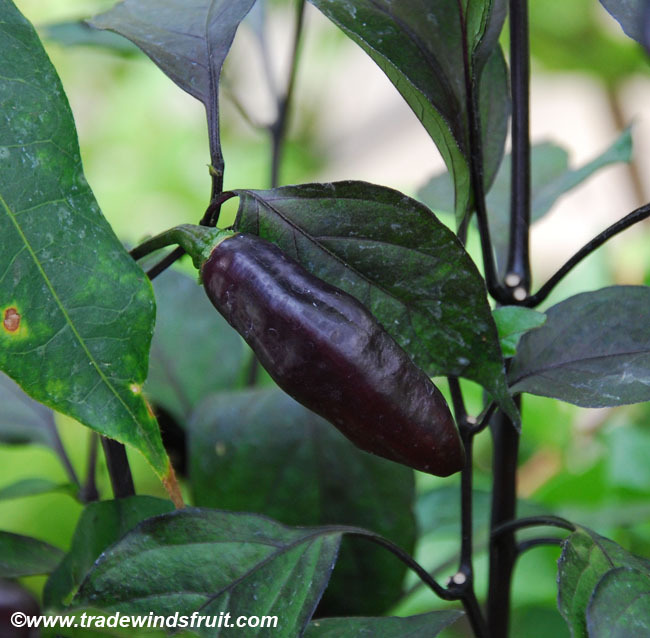 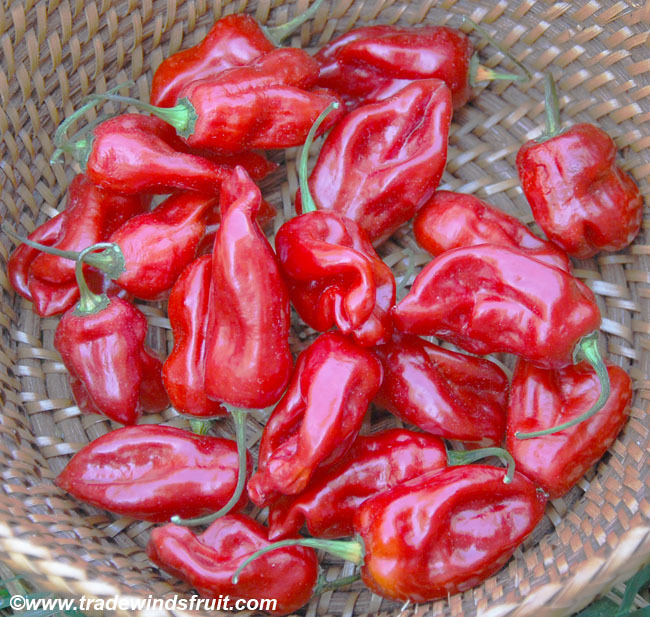 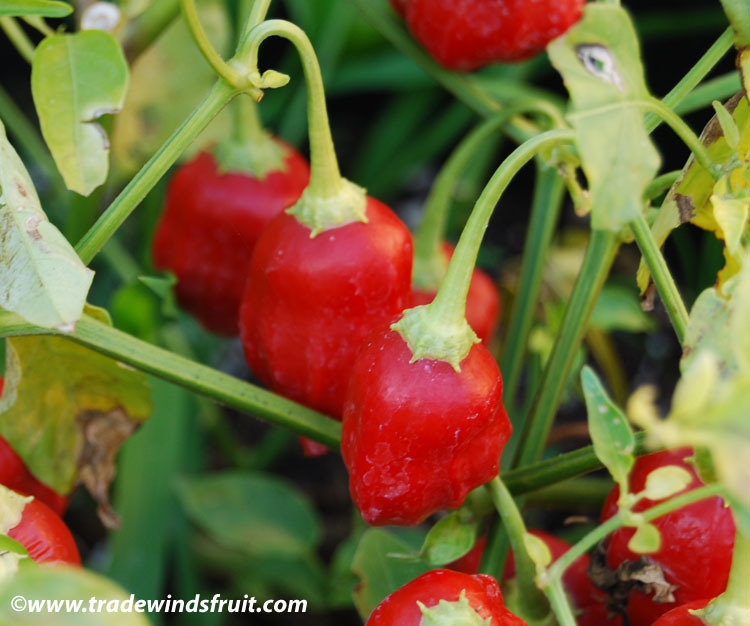 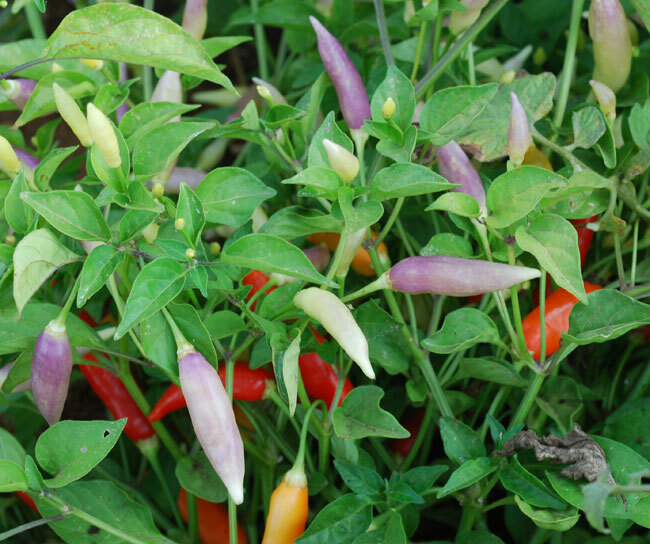 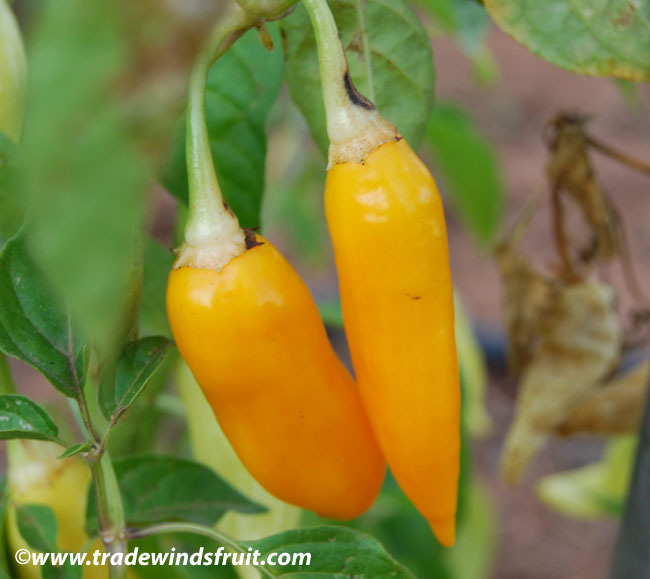 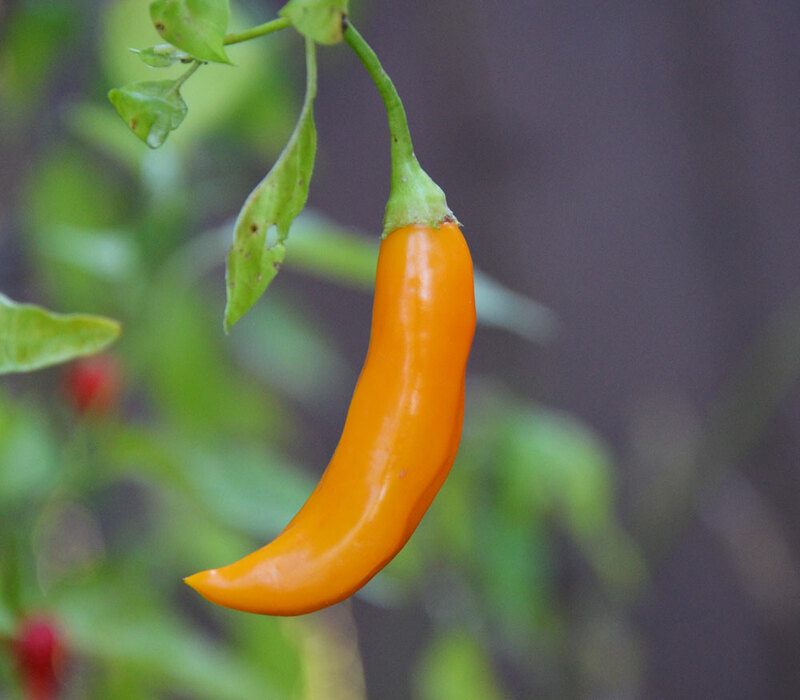 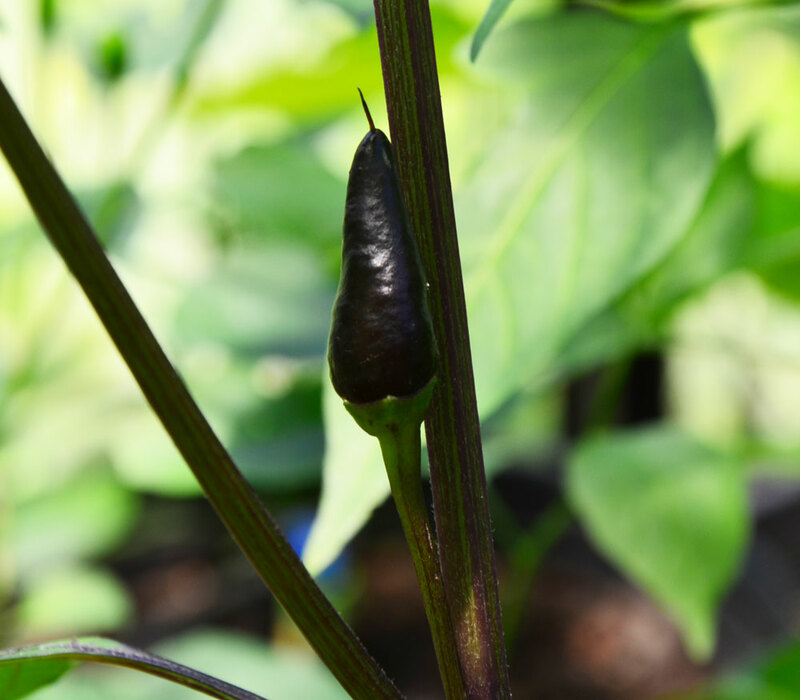 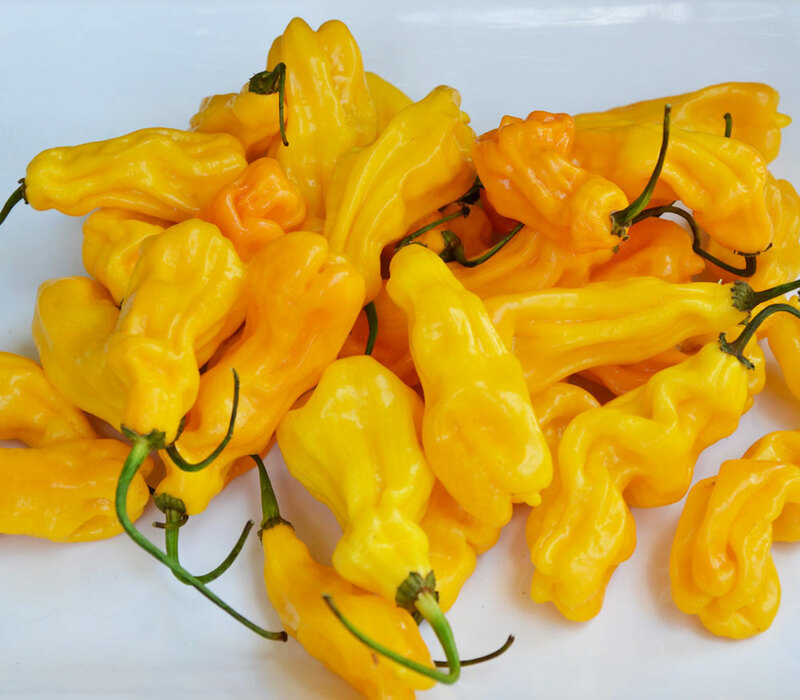 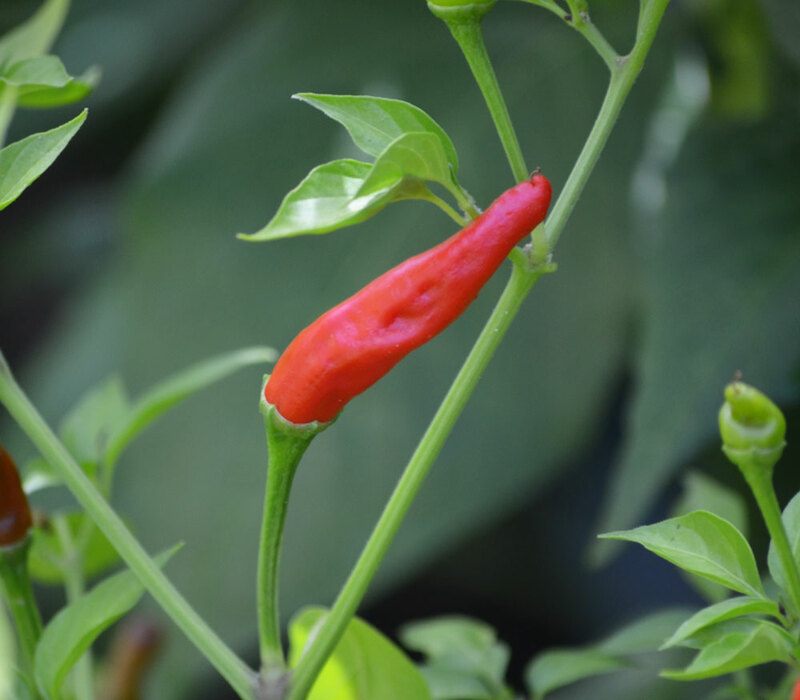 A blocky hot pepper, beleived to have originated from the Brazilian rain forest. 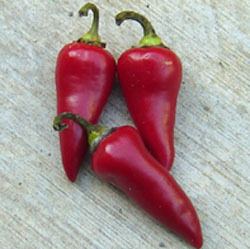 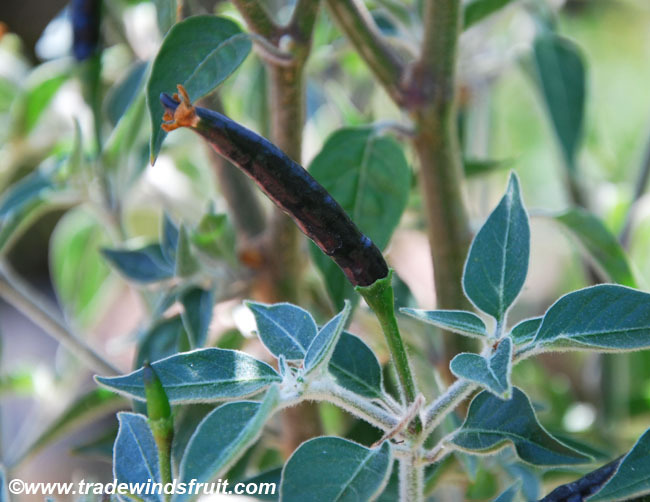 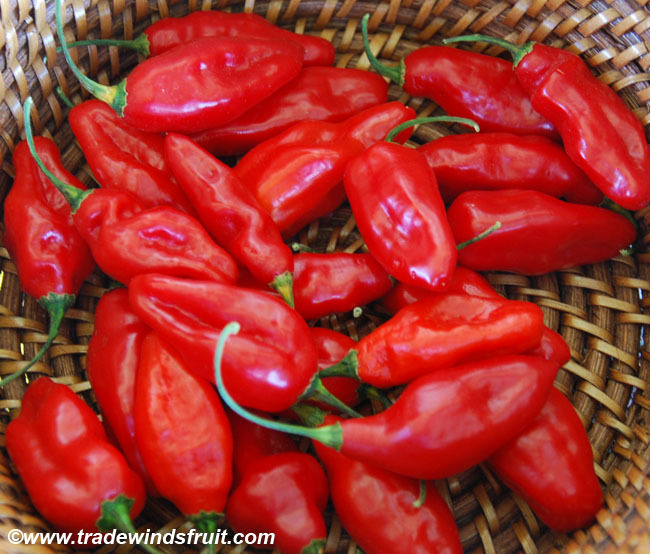 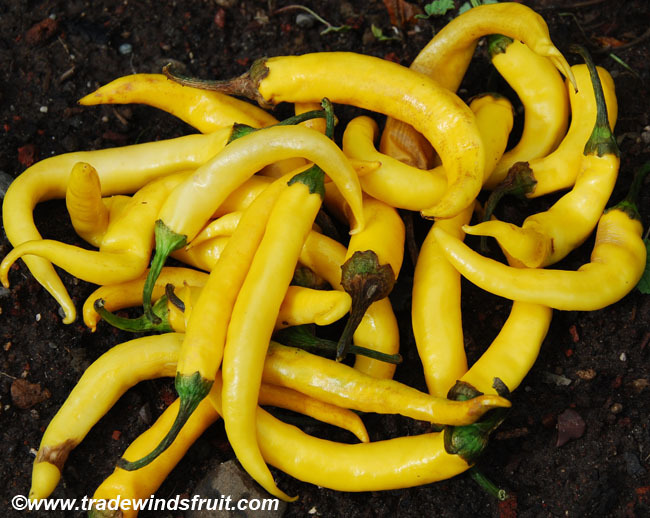 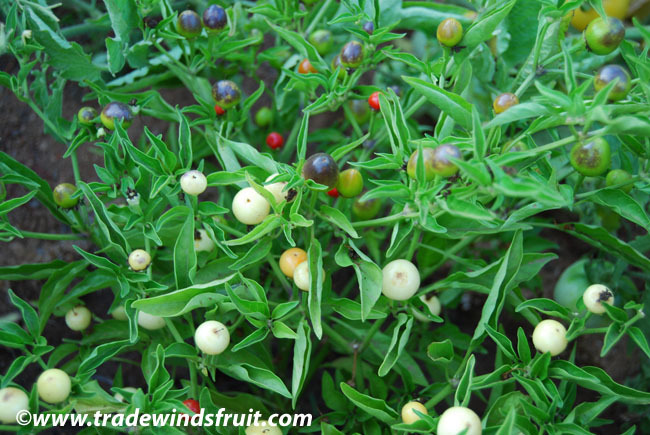 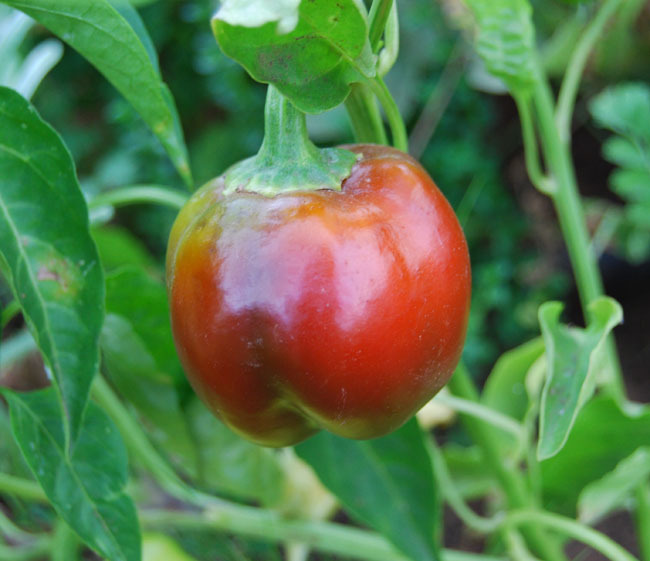 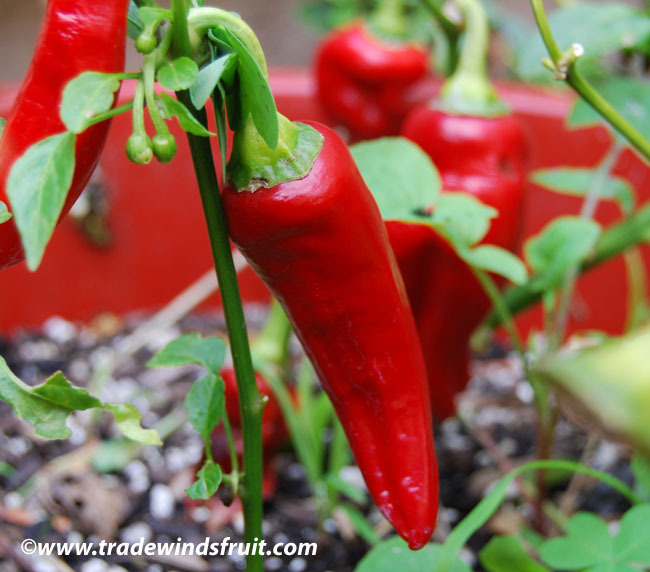 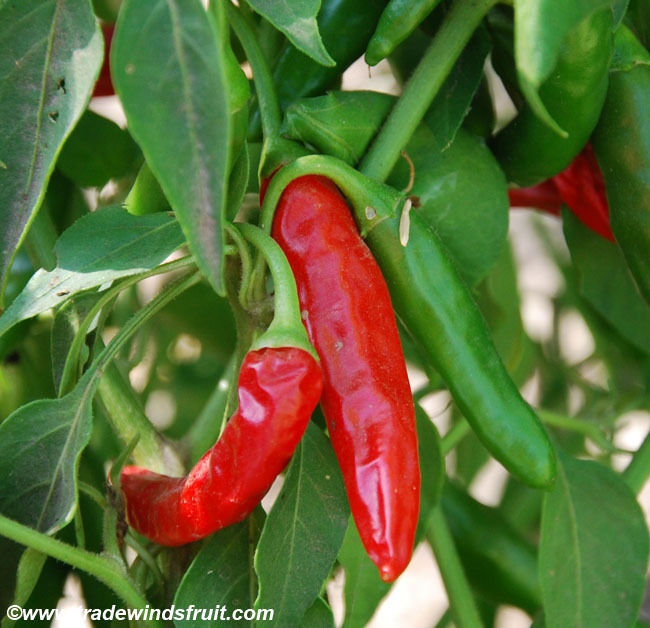 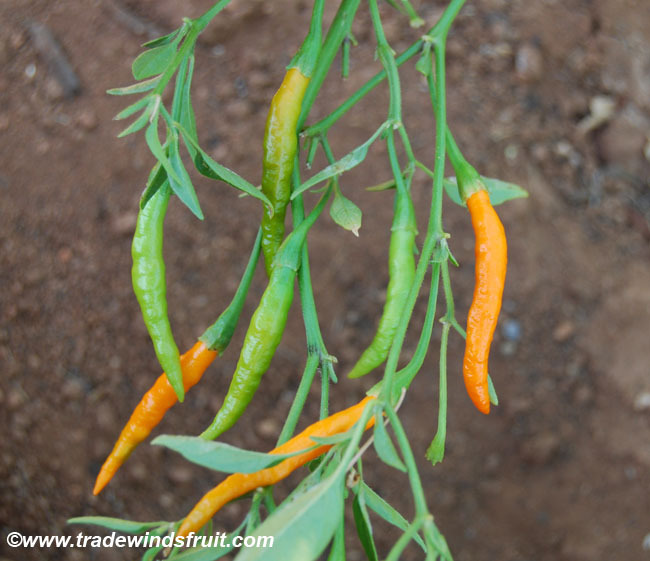 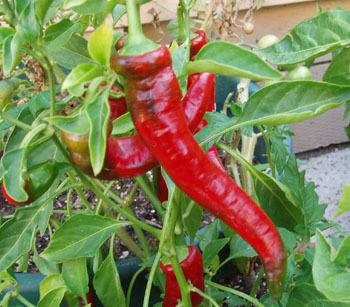 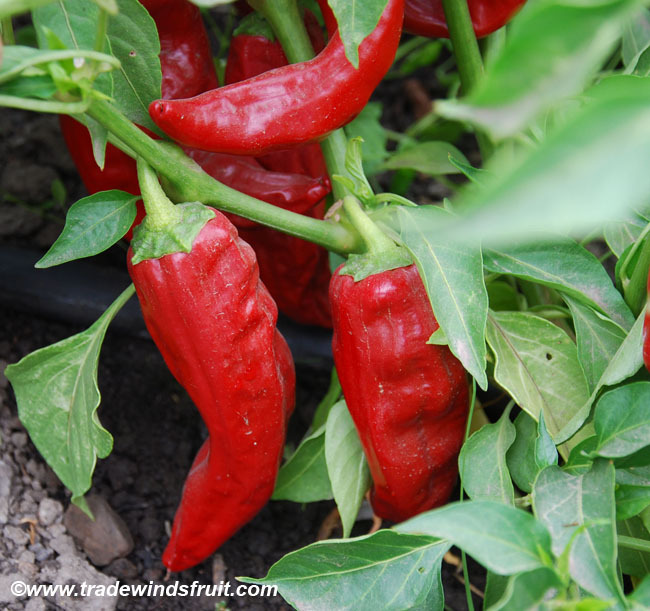 The plants are vigorous producers of red-ripening, thicker-skinned fruits. 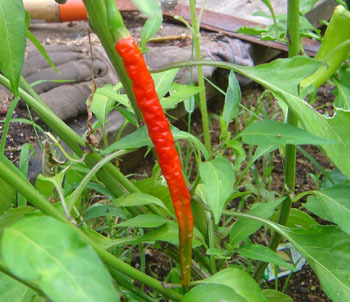 Reported to grow as high as six feet. 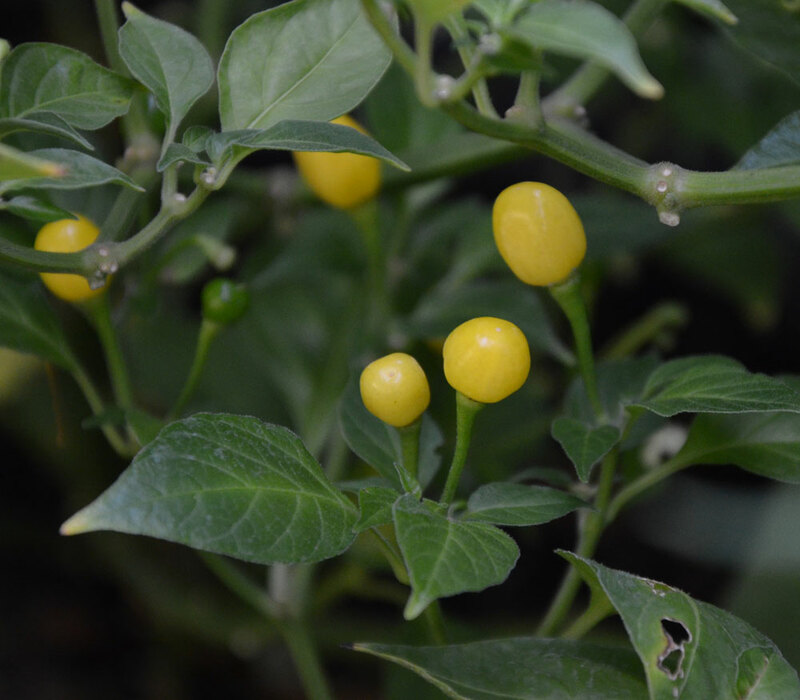 Fruits grow to 2" long by 1-1.5" wide. 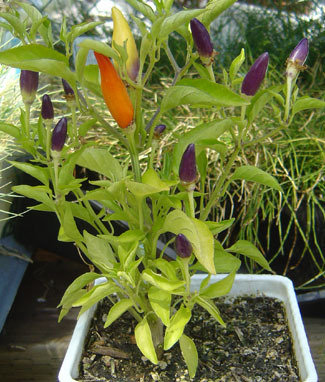 There is a variegated form, but not all plants seem to show variegation in the leaves. 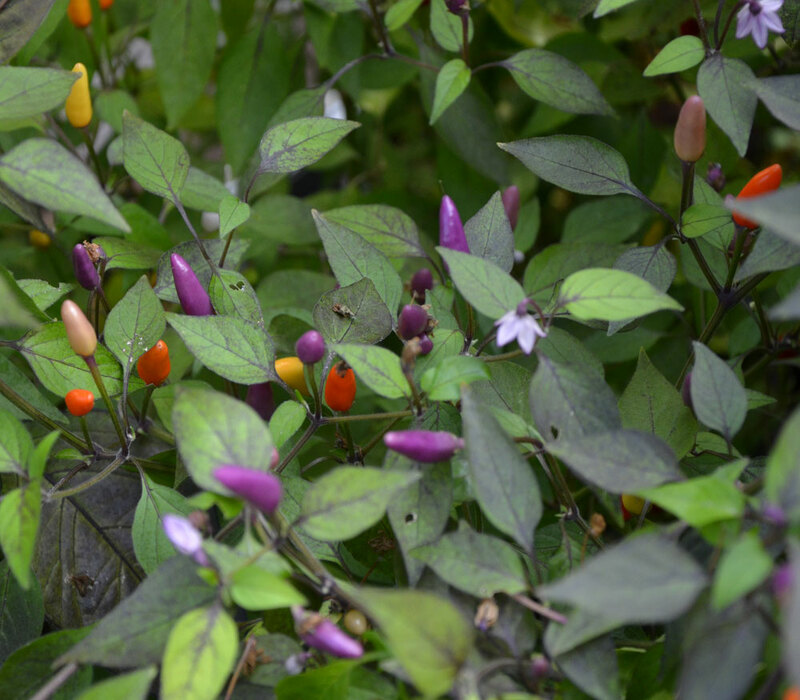 Rain Forest makes for an interesting ornamental (along with being edible) as the fruits dominate the visual and are unlike the average pepper. 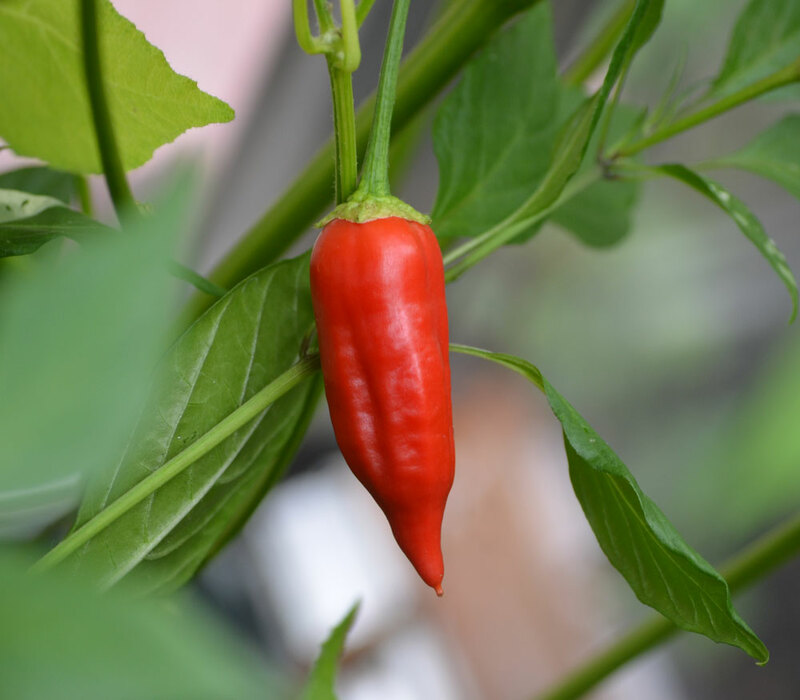 Optionally, seeds can be dipped in a dilute hydrogen peroxide mix (1 tsp hydrogen peroxide per cup water) for one minute to disinfect seeds prior to planting. 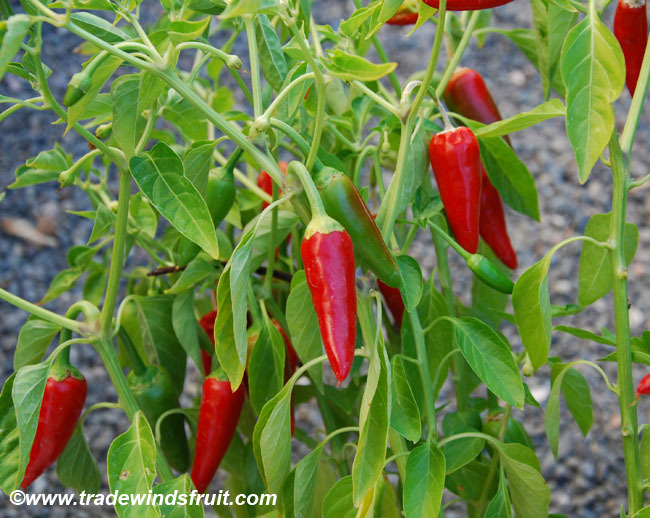 If your soil or seed sprouting setup is susceptible to mold growth this can be useful to kill mold spores.